These machines are designed for high production using rollers. There are two sets of rollers, one in horizontal plane & the other in vertical plane. To cater the diverse requirements of the customers, our company has strived hard to give excellent quality range of MWM 6RO. 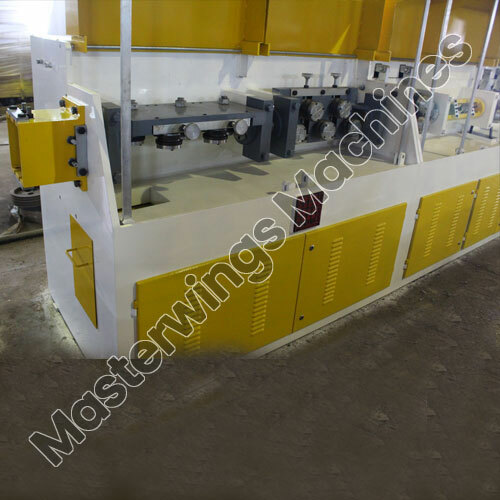 This Roller Type Wire Straightening And Cutting Off Machines - MWM 6RO is superbly designed by our qualified team of professionals as per the set industrial standards using latest machines and advance technologies. It is checked for quality at each and every stage of manufacturing process to ensure flawlessness in its design. This MWM 6RO is highly appreciated amongst customers for its optimum performance, less maintenance, rugged construction and efficient functioning. 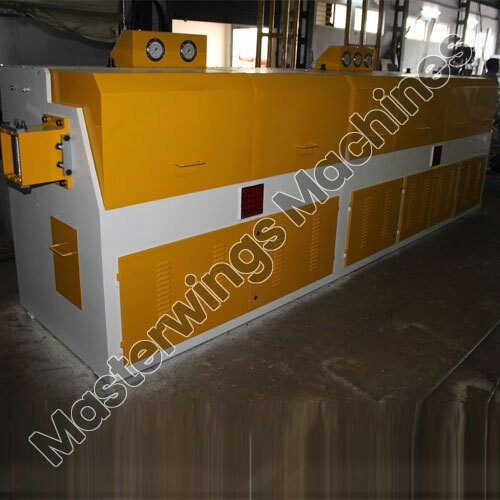 Furthermore, this machine works at very high speed and is capable to meet the needs of different industries. Leveraging over the skills of our qualified team of skilled professionals, we are instrumental in manufacturing superb range of wire straightening and cutting machine MWM 8RO. This Roller Type Wire Straightening And Cutting Off Machines - MWM 8RO is used for precisely cutting of wires in desired lengths. This machine is fully automatic and designed to meet the diverse requirements of the industry. Supreme quality raw material is used in manufacturing of this machine which our company purchases from the most reliable vendors in this domain. 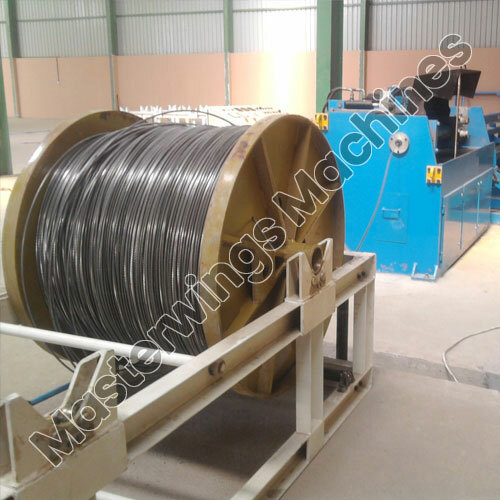 In addition to this, to attain the maximum satisfaction of the customers, we provide this Roller Type Wire Straightening And Cutting Off Machines - MWM 8RO at pocket friendly price. Working Space for Machine: 5 Mtrs x 35 Mtrs. Using our years of industrial experience and expertise in this domain, we are instrumental in manufacturing standard quality range of Roller Type Wire Straightening And Cutting Off Machines - MWM 12RO. It is widely demanded in different industries for straightening and cutting of wires of different thicknesses and made of different materials. It is designed in different models and specifications to meet the variegated requirements of the customers. Our product is designed in compliance with the set industrial parameters and under the supervision of our qualified team of skilled professionals. This Roller Type Wire Straightening And Cutting Off Machines - MWM 12RO is a technologically advanced range of machine which is widely demanded for its rugged construction and trouble free performance. We have carved a niche amongst the most dominant names in this business, involved in manufacturing superior quality range of Roller Type Wire Straightening And Cutting Off Machines - MWM 16RO. This Roller Type Wire Straightening And Cutting Off Machines - MWM 16RO is designed by our qualified professionals using advance technologies and quality material which we purchases from our most trusted and reliable vendors in this domain. Our product is known for its rugged construction and speedy performance. It is designed to withstand the touch environmental conditions of different industries. This MWM 16RO is integrated with various user-friendly features and is capable to cut and straighten wires of different lengths with small adjustments. Furthermore, clients can purchase this product from us at most economical price.